Videos have been immensely popular for years now, and it appears this trend will continue through 2017. That means you can expect to see more digital marketers get into video marketing this year. If you’re still not sure this tactic is worth trying, take a look at some video marketing stats and trends that may help tip the scales in favor of getting stared with a video marketing strategy this year. How Many People Watch Videos? Let’s start with why video marketing is such an important addition to any mix. As you might guess, the main reason is that lots of people watch videos online. More specifically, over 100 million people view online videos each day. This year alone, online video is predicted to make up 74 percent of online traffic. The average internet user sees about 32 videos per month and spends 16 minutes every month watching video ads online. You should also note that 79 percent of consumers who were surveyed in one study said they would rather watch a video about a product than read about it. So it shouldn’t come as a surprise that 91 percent have viewed an explanation video about a product or service, and 84 percent said they’ve made a purchase after watching a video. How Are People Watching Videos? Now that you know how many people see online videos on a regular basis, it’s good to know how they’re viewing them. First, take note of the device they’re using most often to watch online videos. Computers just barely beat out mobile devices when it comes to the preferred way to watch videos, as 58 percent of people around the world watch videos on their computer and 57 percent watch on their mobile phone. Similarly, 70 percent of consumers in the US watch on their computer and 67 percent watch on their phone. Researchers predict that mobile will soon overtake the computer as the preferred way to watch online videos, considering mobile usage has been steadily increasing every year. Luckily, there are lots of platforms that make it easy to watch videos, and most people seem to be aware of this. Over 50 percent of those who use Facebook every day view one or more videos on the social network, while YouTube has more than one billion users—about one-third of all internet users. Additionally, Snapchat gets more than 10 billion video views every day. Clearly, if you’re not video marketing yet, you’re missing the chance to reach a major audience! What Do Businesses Think of Video Marketing? 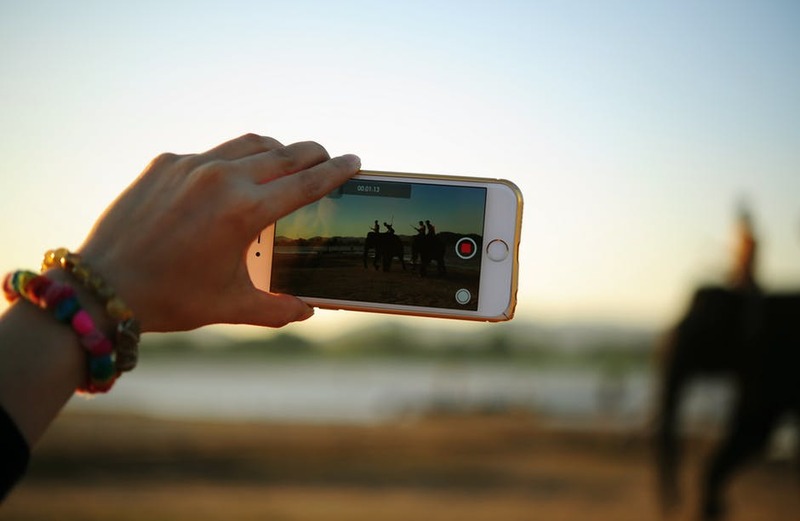 The majority of businesses have at least dipped a toe into the video marketing world, and many of the ones that haven’t will likely try it soon. In fact, 63 percent of businesses use video to market, while 61 percent did last year. Of the 37 percent that don’t yet do video marketing, 34 percent said they will try it out in 2017. 53 percent claimed video marketing helped reduce the number of calls requesting support. 76 percent said it increased website traffic. 81 percent said it increased sales. Now you know how many businesses use video marketing, but another question you should be asking is how they do it. Which platforms do they use and how much do they spend on their video marketing campaigns? Brite Content’s State of Video Marketing Survey can answer some of these questions. For example, it found that of 78 marketing thought leaders surveyed, 96 percent used video marketing last year. Of those, 96 percent prefer YouTube for video marketing, and 93 percent like Facebook. About 68 percent prefer to add their videos to their website, while 53 percent like Twitter for videos. And when questioned about the amount they spent on video marketing last year, the most common budget seemed to be $501,000 or more, since 23 percent of marketers chose this answer. However, for 70 percent of marketers, the digital video budget makes up just 1 to 10 percent of their marketing budget. About 34 percent plan to spend the same this year, but 26 percent will likely increase it by 1 to 10 percent, and 21 percent of marketers in this survey will increase the budget by 11 to 30 percent. Do any of these video marketing stats and trends surprise you? Let us know what you think!